In 2017, Catholics around the world celebrated the 100 year anniversary of the apparitions of Fatima. This Centennial Celebration brought amazing graces to this extremely troubled world. 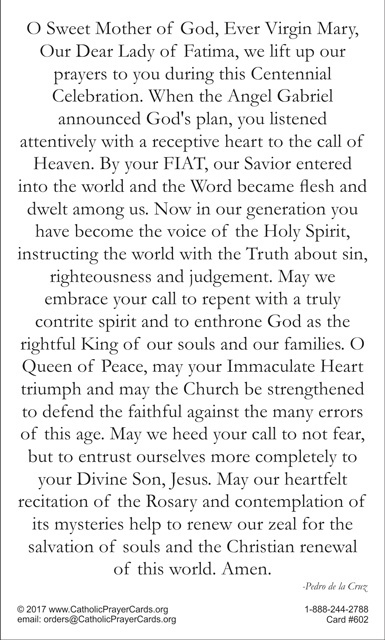 May Our Lady of Fatima intercede for the Church and for all souls!